In my second year at Mercedes-Benz I was responsible for the climate control and the Multi Contur Seat of the E Class. Therefore I designed a very easy clima menu and also a taskbar. The taskbar enables the driver to change the settings via hardware switches. This allows the driver to change clima settings without using the menu. The seat has a lot of features like the dynamic Seat or the massage programs which has to be explained. In due consideration of the Interaction concept, i developed a clear menu with nice animations which explains these features. Starting at Mercedes-Benz in 2013 one of my first tasks was to develop, one of the three new Instrument Cluster for the all new 2016 E- Class the instrument cluster is currently implemented as apart of the futuristic Progressive style. My second project was aInstrument Cluster for the Entryline. The final result is a nice mixture between a classic hardware instrument and a large display. The modern UI-Design can be controlled by touchpads in the steering wheel. This allows to control almost all the functions of the car in a classic hardware instrument. II would like to render one of my all time favorite classic cars, the Ferrari 250 TR. I Choose two different render Styles one with a background image that allows a photorealistic driving scene. And a mixture between the Classic "Old School" Ferrari Foto Look and a futuristic light emitter wireframe Rendering. Instrument Cluster contain a lot more functions nowadays than just a few years ago. My concept allow to use 75% of the display for individual needs like iOS in Car or Android car. It adapts to the driver and is able to satisfy different needs in different situations. Climate control elements often contain a lot of buttons, which can make them seem really complex at first sight. That is why I develop a concept for a climate control elements, that uses a rotary push-button to combine all functions in one mechanism. Eiseight combines aesthetics and functionality. The twisted ice cream scoop allows you to hold your wrist in a straight line, while scooping up your ice cream and making it very easy to get your desired result – a perfect scoop of ice cream. Eiseight is being sold under the name „Scoop“ by the Tchibo Company since 2010 and has been sold over a 250.000 times. In my opinion beauty shots for the automobile industry represent the Champions League of CGI. Every visual element of the car is supposed to be put in the best light. This leads to Beauty Shots which seem a little unrealistic sometimes. „Maxwell“ may not be the „go – to“ tool for a Beauty Shot, but I was eager to see, what I can achieve in just two weekends. Edge is a representative designed plastic cutting board. Due to its diagonally slope, a fluid groove is unnecessary. The slope ends in a corner that can be used as a chute. Which use has a flexible Displays outside of Entertainment electronics? My application concept, allows to simulate Emotions and Situations via 360° panorama videos. Lens Safe is an „all in one“ Container for Contact lenses which resembles a pen. The „pen“ has two caps to allow a separate and hygienic storage of the lenses. The inside of the „pen“ contains two units of „cleaning fluid" with enough capacity for several uses and it fits in every pocket. I developed different application concepts to show the full potential of my spring. One application was a Seat Post, which can be infinitely adjusted to the current needs of the cyclist. The other application is a slatted frame with an electric rigidity control. Witch can be easily tailored to particular needs. 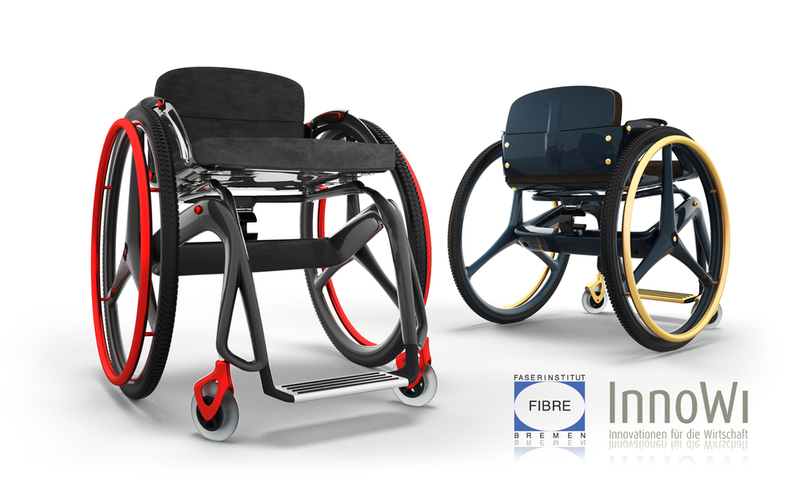 Caro is a wheelchair concept that was developed in collaboration with the „Fibre Bremen“ and Innowi . The design of the wheelchair was developed in direct contact to a handicapped person, who contributed to the process by describing his everyday problems and individual needs. This led to a design that is modular, spring-suspended and infinitely adjustable. Volkswagen was searching for concepts, that would make it possible to use interactive surfaces in the interior of a car. The developments were so successful, that they led to a patent and a technical publication. I developed a new design language for future stoves. My approach was to use the a very rustic and asymmetrical design – this made it possible to use each side of the fireplace as a „front“ by using a modular door system. The lamp was also partly simulated by water – very similar to the Martini Glass. 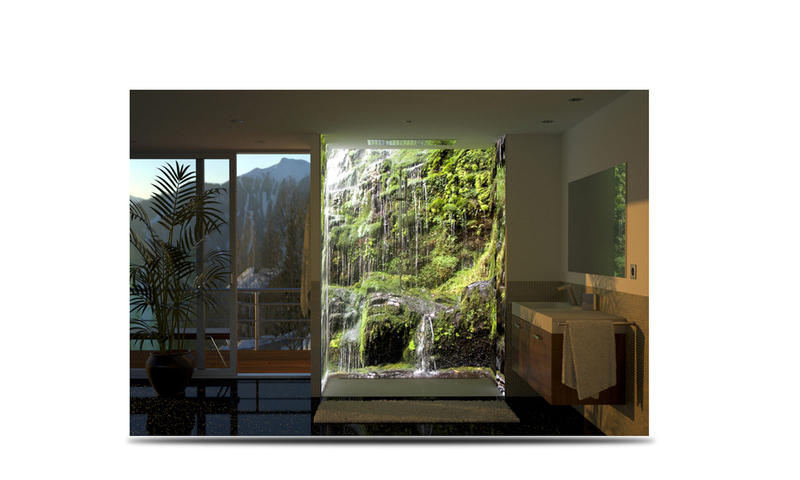 Again the Simulation software „realflow“ was used. The resulting lamp resembles a wave or a stream of water. 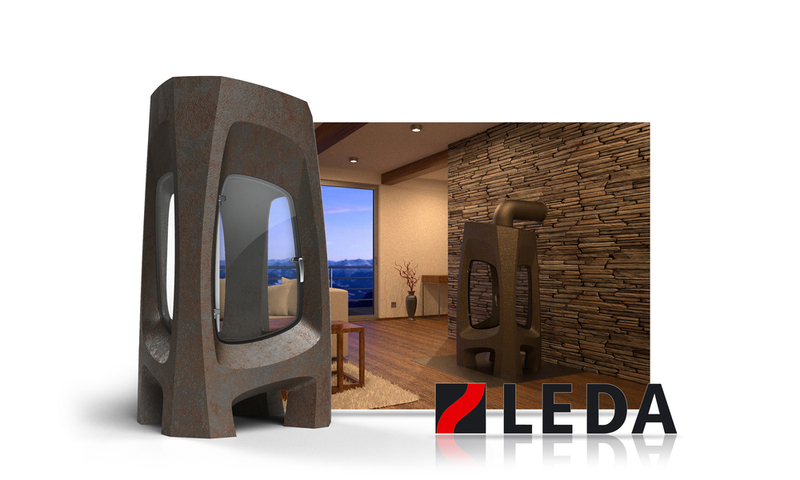 The simulation data was processed and led to the production of the lamp itself. The principle behind the screw mortar is nothing new. Most screw mortar don’t usually look very attractive and resemble medical equipment. I wanted to change that and developed a timeless design for a semester project. Ergonomics are very important during a tattooing process. Surprisingly most tattoo machines are not very ergonomic themselves (except the handles of course). I developed a new concept for a tattoo machine that uses a piezoelectric motor. During a semester project, which was issued by „Meadwestvaco calmar“ I developed a new design concept for spray bottles. My approach was to design a bottle that would be flexible in a particular spot to make movable parts and springs obsolete. The tea company „Althaus“ from Bremen was searching a new display for their teas to put up in hotels and other tourist accommodation. The aim was to create a very modular and easy to produce display.